Lenovo moves on from the LCD technology that has been used in laptops for decades. Lenovo’s new ThinkPad X1 products boast some glitzy new technology, including an OLED display on its X1 Yoga hybrid and newfangled docks for its X1 Tablet. With the new X1 products, which include the X1 Carbon laptop, Lenovo wants to change staid PC designs. Lenovo has also slimmed down devices, pumped in more performance and added longer battery life. Lenovo claims the ThinkPad X1 Yoga is the first hybrid in the world with an optional Samsung OLED screen, which offers crisper images than conventional LCD screens. 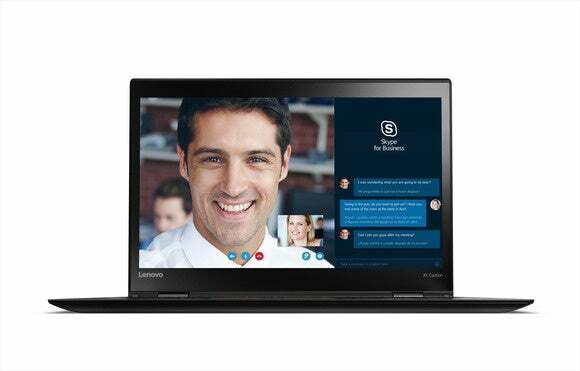 ThinkPad X1 Yoga is available with an optional 4K screen. OLED screens—which are already in smartphones, tablets, and TVs—are also attractive for their super-slim form factor, light weight, wide viewing angle, color gamut, and low power consumption. The X1 Yoga belongs to Lenovo’s long line of Yoga products, in which an attached keyboard flips around to turn the device into a tablet. It is 16 millimeters thick and weighs 1.27 kilograms. The hybrid is available with up to Intel Core i7 processors, 1TB of solid-state drive storage, and 16GB of DDR3 RAM. A base model will ship this month starting at $1,449 with a basic high-definition LCD screen. The OLED model will become available in April, and the device’s price has not yet been determined. The 12-inch ThinkPad X1 Tablet has full laptop features in its 8.4-millimeter thick, 795-gram frame. The tablet’s versatile docking features stand out, with the ability to snap on a keyboard, projector, 3D camera module, or an extended battery to the device. The modules are thin and light, and the battery pack can add an additional five hours to the tablet’s 10-hour battery life. 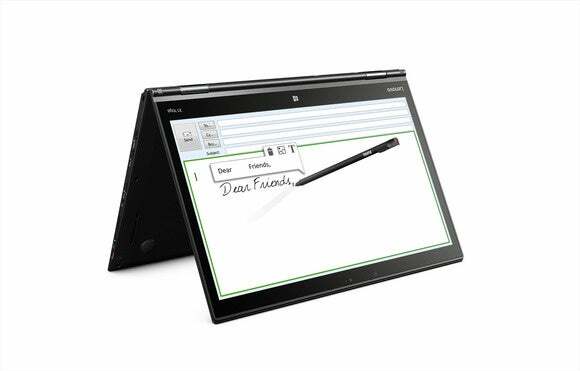 The convertible ThinkPad X1 Tablet works with add-on modules like a projector and a 3D camera. The X1 Tablet will ship next month starting at $899. A base model will have a 2160x1440 screen. Other features include Intel processors up to Core M7, up to 1TB of solid-state drive storage, 16GB of RAM, and 2-megapixel or 8-megapixel cameras. An OLED screen is not available with the tablet. 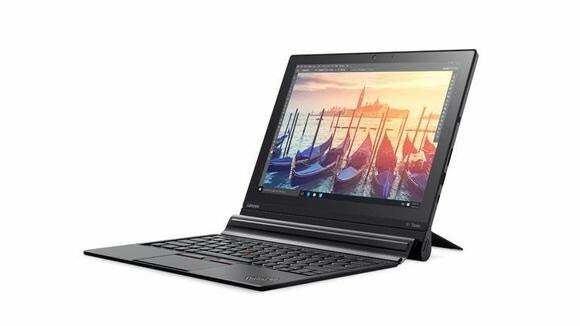 Lenovo also introduced the latest edition of the ThinkPad X1 Carbon, making it faster, slimmer and lighter than the predecessor released last year. The new model is 16.45 millimeters thick, about 8 percent thinner than its predecessor, and weighs 1.18 kilograms, about 10 percent lighter. The speed boost comes thanks to Intel’s latest Skylake processors, an upgrade from the Broadwell chips in the previous X1 Carbon. Lenovo has also added Samsung m.2 NVMe SSD storage, which is roughly five times faster than SATA-based SSDs and 10 times faster than hard drives. The new ThinkPad X1 Carbon is even thinner than last yar. The ThinkPad X1 Carbon will be available next month starting at $1,299. The X1 product line has been a playground for Lenovo to test new technologies, and the new products were announced ahead of the CES show in Las Vegas. HP and Dell are also expected to announce new laptops, tablets and hybrids at the trade show. All the X1 products have optional LTE-Advanced mobile connectivity, which is an incremental speed upgrade to conventional LTE technology. Other features in the new products include USB-C port to connect peripherals and chargers, Wi-Fi, optional WiGig, and a range of display slots.